Sadanand Dhume, Washington-based journalist and author once tweeted to a few of us food writers based across India. 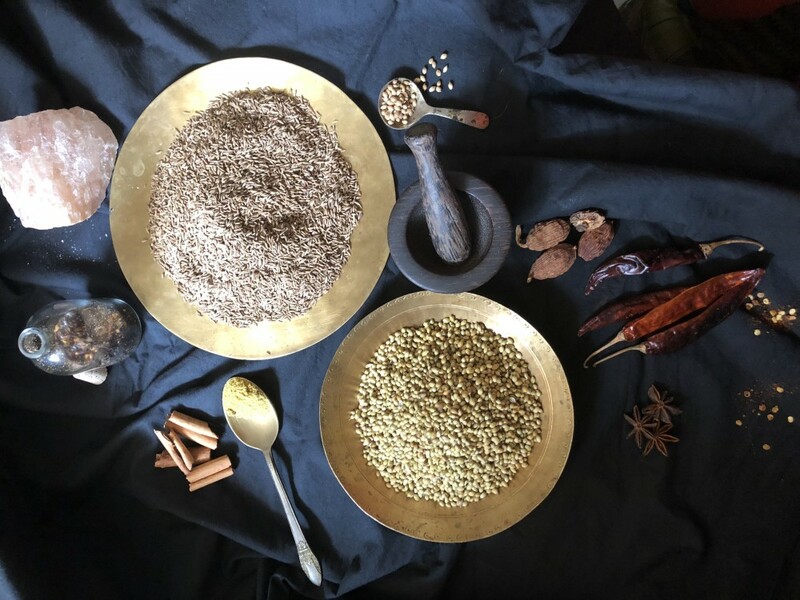 “Can you tell me how many different preparations of dal there are in India?” There was a flurry of activity that lasted two or three days, when all his interlocutors did some energetic back-of-the-envelope calculations. Each of us came up with very widely differing figures. They ranged from 1,000 to 2,00,000! After days of hectic parlaying, with each one of us stating our position with a great deal of passion, Dhume ended it all by declaring that he was going to give out the figure as 10,762 types of dal recipes cooked around the country. “If it is such a nebulous figure, nobody will be able to contradict me!” he concluded with glee. Substitute the word dal for the word curry and you have a far higher figure. There is the matter of the principal ingredient/s: meat of one sort or the other (mutton, pork, buff, game, chicken, duck, guinea fowl) singly or in tandem with one or more vegetables that could range from potatoes or cauliflower to a vegetable that is only grown and eaten in one state, or even in one part of a particular state like thangjing from Manipur or Madura keera from Kerala. Then you have vegetables cooked with gravy on their own or with other vegetables. It all could be classified as a curry. It would be a brave person who sets out to actually enumerate how many curries are made across the country. Shri Bala, food impresario, food researcher and the lady who has made the food of ancient Tamil Nadu come alive through her festivals, says that ‘kari’ is the Tamil word for any mutton preparation. The word has pre-historic roots and was found in written records in Sangam-era literature that dates back to the 3rd century BC. 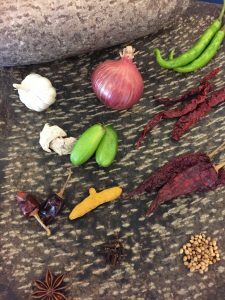 On the other hand, a kozhumbu is the Tamil word for curry as we understand the term, with the addition of tamarind in it, presumably as a preservative and coolant in the state’s fierce summers. Bala opines that the British appropriated the word curry, anglicized the spelling and proceeded to make it famous. 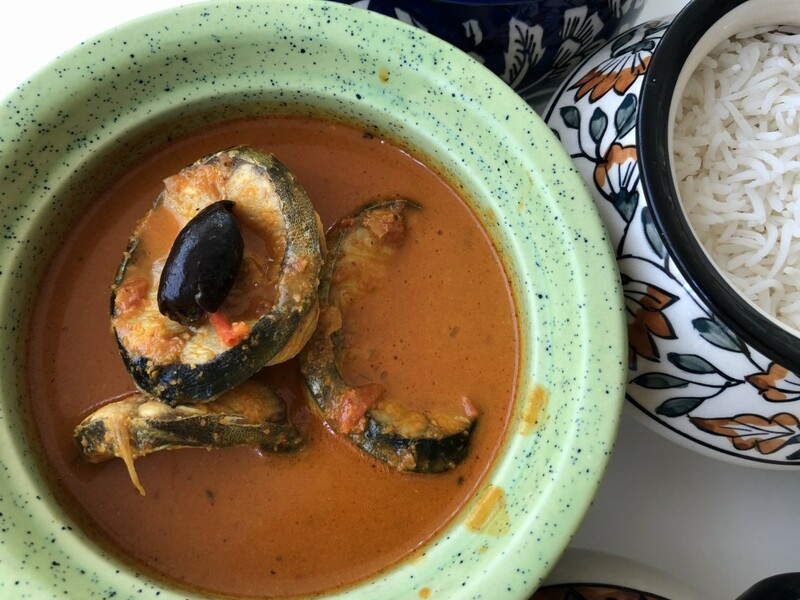 Sudha Kukreja, restaurant consultant and hobby food historian opines that while that might be true for the southern states, it is more likely that in North India, the British co-opted the Hindi word ‘tari’ that is used till today in common parlance to mean a gravy preparation. 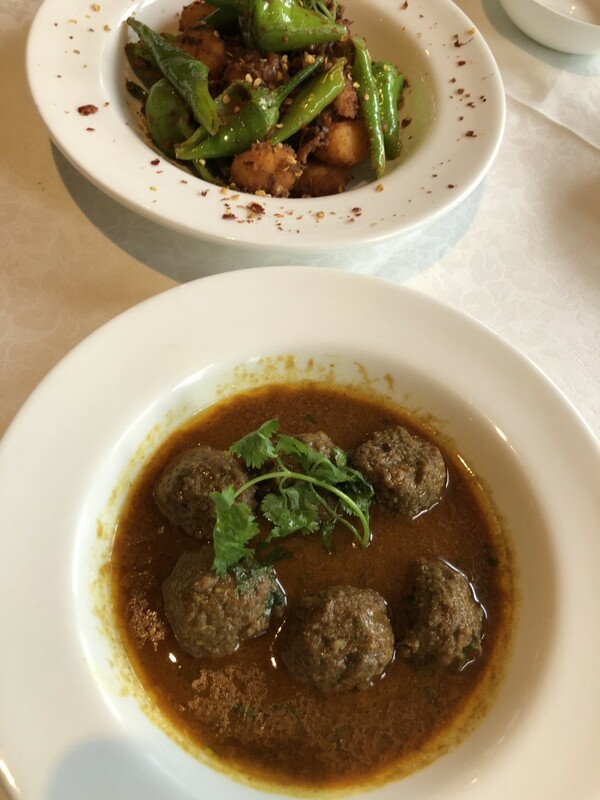 Kari or tari – the lexicon of food has become richer, and may we say, more delicious, with a single word that means exactly what you want it to mean! A curry is not a descriptor of either the ingredients or the precise cooking method, any more than dal is, though with dal, at least it is presumed that it will contain a lentil as its chief ingredient, washed, split or whole. And somehow, even when dal is cooked with a vegetable or meat, it remains dal, and doesn’t ever transform into curry! 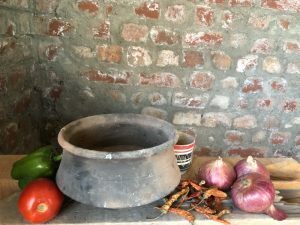 In our family, a favourite preparation in the cold winter of Kashmir is whole moong dal with a few pieces of mutton and a couple of chunks of lotus stem (nadru) – a hearty, warming dish that is commonly referred to as ‘dal’ rather than meat, curry or ‘nadru’, though technically all these terms are accurate descriptors. Needless to say, it is known as dal all over Kashmir, not merely in our home. So, what exactly is a curry? A fistful of spices, the central ingredient/s, a thickener like yoghurt, onion or tomatoes sautéed over a slow fire all cooked together is what you will end up with: a curry. However, there are several variations. Add souring ingredients like yoghurt, tamarind, tomato, kachri, aamchoor or pomegranate seeds and you’d land up making a qorma. On the other hand, if you add a large quantity of onions in two stages, you will have made a dopiaza. Slow cook lamb shanks with spices overnight, and the gelatine in the bones will be released into the gravy, causing it to become ever so slightly viscous. This is the hallmark of a nihari. If you cook meat – say lamb – with a root vegetable like potatoes, you would make an istoo. All these are variations of a curry, but we have just started scratching the surface. All along the coasts of peninsular India, fish and prawns are the protein of choice because of availability. 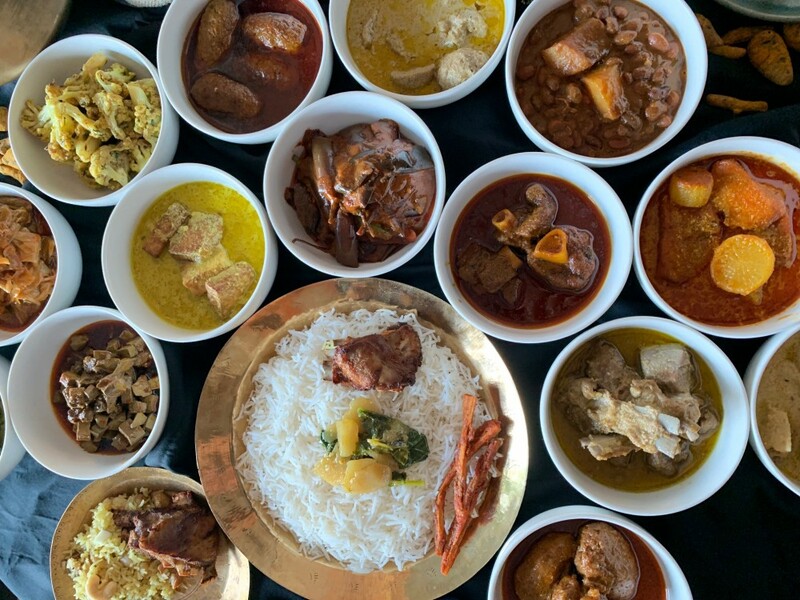 Suddenly, dairy-based fats like ghee, drops in usage compared to the states of the north, and oils like coconut, mustard and sesame become the medium of choice for cooking curries. While clarified butter is seldom used in tandem with seafood, the mix of ingredients change quite dramatically too. Coconut milk or grated coconut forms the base for many fish curries along the west coast, in Goa, Karnataka and Kerala, where the souring agents used are averrhoa bilimbi, garcinia Indica or garcinia malabarica, while in the East coast it is the combination of tamarind and/or tomato that rules in Andhra Pradesh and Tamil Nadu. Inexplicably – let’s put it down to the vagaries of fashion – the term curry had gone out of use in the 1990s. Now, it is coming back with a vengeance, with chefs, restaurant menus, TV food shows and colloquial usage at an all-time high. 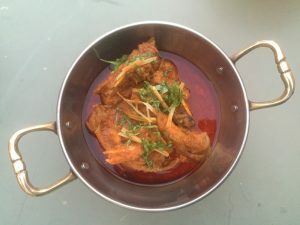 It is just as well: curry is the one culinary term for which there is no precise recipe, yet it alludes to an eminently recognizable preparation with gravy, spices and one or more ingredients that serves as a main course for a meal that is usually eaten with a starch (think rice or chapattis and their infinite variants). And approve of the word or not, it defines Indian food (another oxymoron!) like few other buzzwords do. Lest you think that curry is a quintessentially Indian food, it is not. 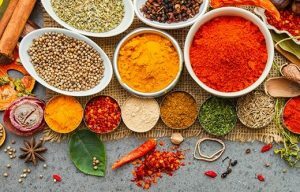 Curries are also found in Japan, Indonesia, Malaysia, Philippines, Thailand, Jamaica, Trinidad & Tobago, parts of South America like Guyana and around the Caribbean. They are also found in London where the term ‘curry shop’ refers to an entire category of eateries where price was the attraction, rather than inspired cooking with prime ingredients! However, there is little doubt that curries in the British context had their provenance in India, where during the British Raj, a whole cuisine grew more or less out of jugaad between memsahibs who could not speak Hindi and khansamas who knew no English. 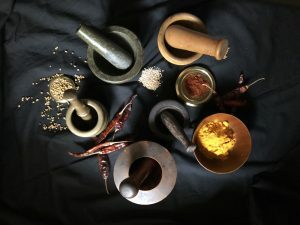 During the period of the British Raj, according to Jennifer Brennan and her classic Curries & Bugles, there was a notion in the UK and probably among memsahibs in India too, that the core of a curry was a complicated mixture called curry powder that had to be blended with flour to make a roux and it resulted in a superior result if bought ready-made rather than being prepared from scratch at home. One recipe, given by the redoubtable Mrs Beeton, calls for coriander seed, turmeric, cinnamon seed (sic), chilli powder, mustard, ground ginger, allspice and fenugreek seed. 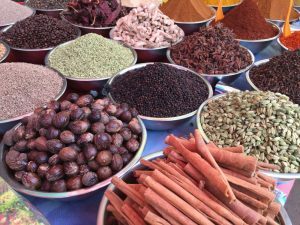 There are references to allspice that does not grow in India and has never gained currency here, to ‘cinnamon seeds’ and the use of saffron while meaning turmeric. As for the transgression of grinding mustard seeds into a powder along with coriander seeds and sauteeing them or cooking them after making a roux with flour and water beggars the imagination. 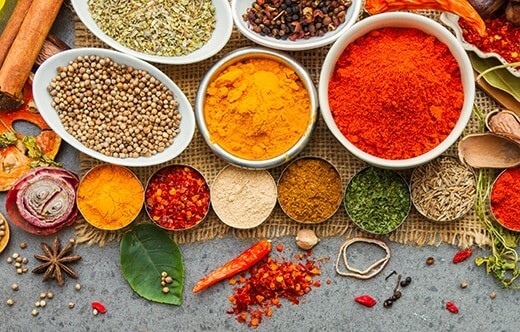 One fall-out is that, according to restaurant consultant Sudha Kukreja the curry powder has been immortalized by at least one India-based company that blends spices together and aims at the export market. “Because it is stabilized with flour and the heat is kept intentionally low, it has a distinctive flavour profile that is immediately recognizable.” She tells me how she has tasted the blend in Indonesia, Singapore, USA and Canada in products as disparate as Japanese curry, Indonesian samosa filling and Caribbean curry sandwich. According to Kukreja, curry is widely eaten in a number of countries that firmly believe that it is indigenous. “It is difficult for an Indian to acquire a taste for Japanese curry during a short visit to that country; it is only the name that is common,” Kukreja smiles at the memory of her meals in that country where her hosts insisted that the curry was a Japanese dish and had not come from elsewhere. It was clear that notwithstanding where it had originated from, it had metamorphosed into a preparation for the Japanese palate. It is the same thing in Trinidad and Tobago, where indentured labour from India had been transported by ship during the British Raj. Goat curry has endured to this day, with a couple of variations by way of channa and aloo. Pimento is used, because it is native to the area, and because you cannot have a curry without some form of chilli in it. In this version, the puri-like roti is folded over the curry so that it becomes a finger food to be eaten on the go and called buss up shut. Goat curry from the Caribbean can now be found in countries as unlikely as Canada, where a thin roti is folded over chicken curry, so that the whole thing is shaped like a sandwich. In the ethnic markets of Toronto, it is referred to as a chicken curry sandwich, and people of all races have a large, ungainly sandwich filled with chicken curry in their hands while they enjoy a day outdoors. Dhal puri may constitute comfort food and an inverse snobbery statement in Mauritius, thanks to the labourers who were brought over while the British ruled over the island. 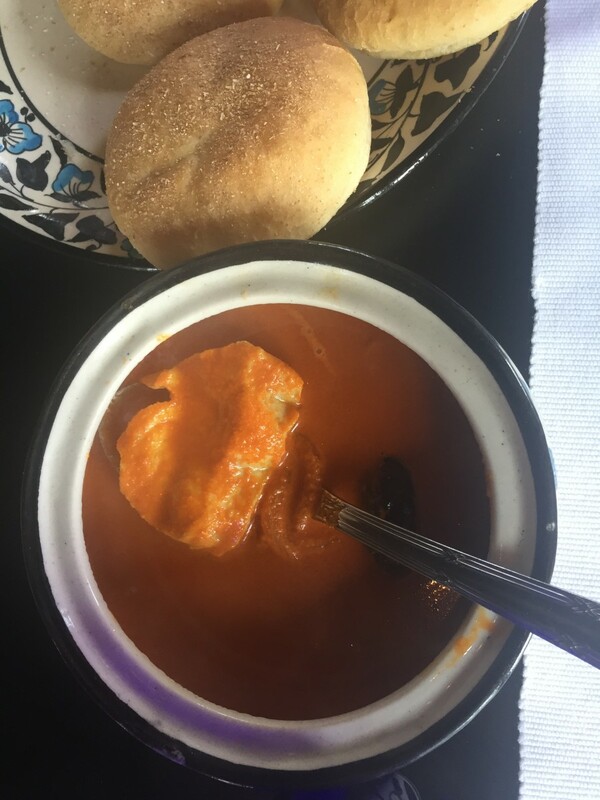 However, they have stayed on and have put their imprint on Mauritian cuisine: crusty French baguettes are eaten with robust fish curry with the reassuring whiff of fenugreek seeds in the tempering, while the Mauritians of Indian descent speak French and sip a glass of beer with their lunch on the beach-front. Meanwhile, in the grand archipelago of Indonesia, recipes for curries are as profuse as they are in our part of the world: opor ayam, kare ayam, kare padang or kare rawon. No prizes for guessing, kare refers to curry. In Singapore, the Eurasian community, formed when Portuguese men married Malaysian women, was infamous for devil’s curry that requires 30 chillies for a serving for four persons. More than beer to douse the flames, you’d need the entire fire brigade. Philippines has its kare kare, the stew in which you can add any ingredients you like, as long as you cook it in the traditional clay pot with the traditional peanut sauce. Every Indian who visits Singapore or Malaysia sooner or later spots the words ‘Ikan Asam’ on a menu and assumes, as I certainly did, that the reference was to our state, Assam. But it’s not. For one thing, there is only one ‘s’. For another, the word means sour or tamarind in Bahasa and as ikan is fish, ikan asam means fish stew cooked in tamarind. And while on the subject of India influencing its neighbours, Bahasa is a corruption of the Hindi word Bhasha or language. And linguists can understand the languages of Malaysia and Indonesia because of its similarity to Hindi. By now, there are very few restaurant-goers who are not familiar with Thai curries, though sadly, most of what one encounters here are travesties of the real thing. Our southern neighbour Sri Lanka is a microcosm of its giant neighbour, with a plethora of curries.